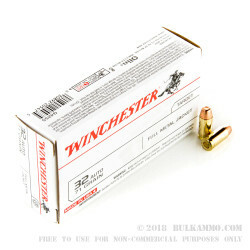 Another vintage cartridge which fits the label of ‘legacy’ is the .32 ACP. What was once a very common caliber has now become much like it's even smaller brother, the .25 ACP: a relic. However, unlike the basically useless .25 ACP (face it, we were all thinking it), the .32 ACP does pack a little bit more punch in the micro-pistol class. 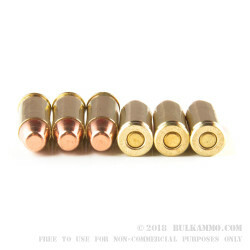 The .32 ACP offers one thing: size. Diminutive, tiny, not-even-pocket-filling micro size. 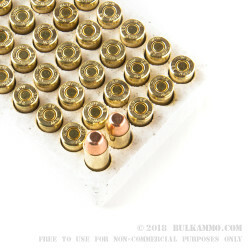 The few modern .32 ACP pistols on the market are about the size of the couple of .22 LR and .25 ACP micro pistols, but the .32 ACP is a considerably heavier slug, only marginally lighter than the ever-popular .380 ACP. If you have a .32 ACP pistol, chances are it is not your go-to pistol for a day at the range. Close range is the name of the game with these pistols, but don’t overestimate your ability just because a target is at arm's length; you need to practice. The best defensive pistol is the one you happen to have, so if the pistol you happen to have is in .32 ACP you need to get acquainted with it through some range therapy. 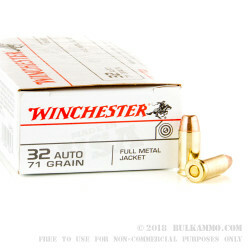 Winchester 71 grain FMJ is just the cartridge to get you in each other’s good graces.